The product is currently selling on Chemist Warehouse. No price comparison can be made as the product is not offered by competing chemist/pharmacy. The current price is $6.50 (43 %) cheaper than previous price of $14.99 recorded on 25 May 2018. The price is currently at its lowest since 24 Mar 2018. 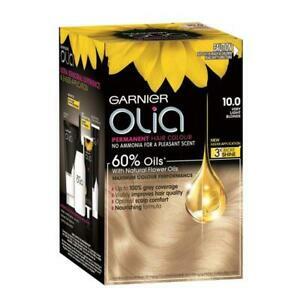 Similar product Garnier Olia Starlight Blondes 10.0 Very Light Blonde can be found at ebay Australia at $14.99. Get $5 off (no minimal spend) at Chemist Warehouse using the code: CASHREWARDSFIVE.